Wedding reception, Rehearsal dinner or any other special event. 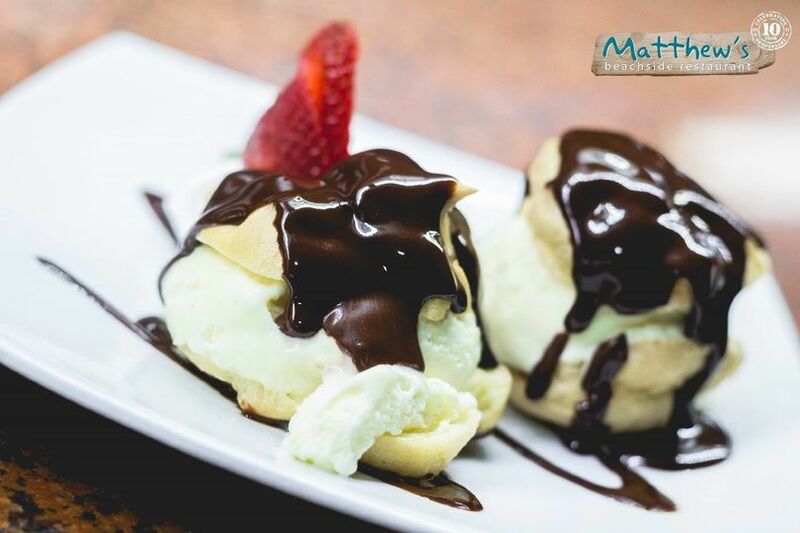 If you have special wishes our Chef can create a menu tailored to your needs. Our restaurant can be rented out for private or semi- private dinner events. 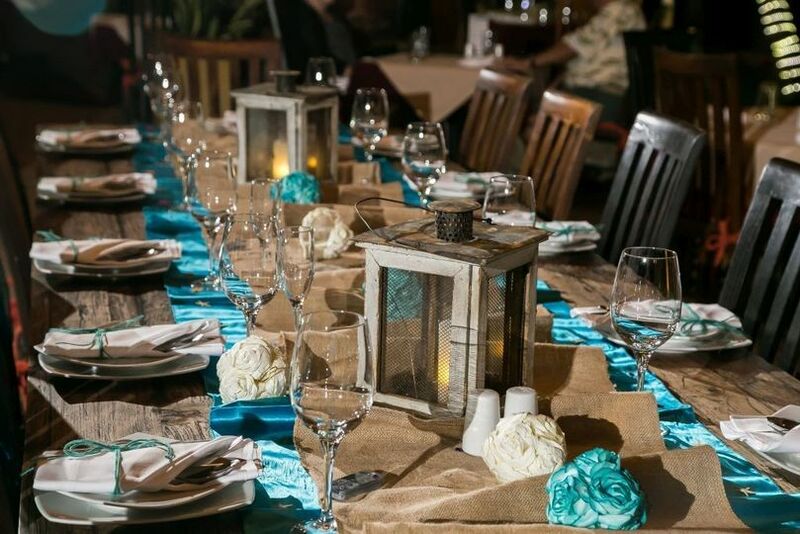 We can accommodate parties between 25 to 300 guests. 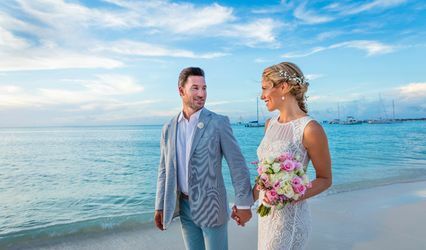 Treat yourself and your companions to a wonderful party surrounded by the Caribbean Sea at one of the most unique locations on the island. Please feel free to contact us and we will be glad to make your day unforgettable! 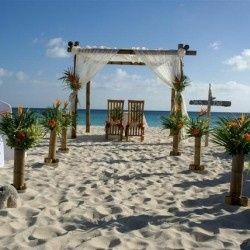 I have two parts for this review as we stayed at Casa Del Mar therefore we were at the beach/pool every day during the day so we had food/drinks/service from Matthew's during this time AND we had our wedding reception at Matthews as well. During the day our server was always JULIETTE, she is absolutely amazing! Super energetic, fun, friendly and quick. She would come over to our pool tables and take our entire group's orders (typically about 20ish people in and out always changing) and would get our food & drinks out fast. She knew that my husband and I were the "wedding couple" and always gave us amazing service. She was fabulous to all of our guests and we are so thankful that she was there to make everyone's days fun filled with great food and drinks. Second, our wedding reception was ABSOLUTELY AMAZING. I worked with Catty from Matthew's for about a year planning the reception but unfortunately she was not able to be in attendance for our big night. THANKFULLY the manager Jonnique was able to step in, picking up all of the details. We met with her two days before the wedding reception and we were able to get all of our wedding decorations/favors etc. the wedding morning. Her and her team set up for our reception perfectly. The Matthew's crew worked perfectly with my DJ, and with all of our family and friends. I truly could not be more happy with how our reception went. The food distribution process was SEAMLESS. We had plated meals for everyone including salad/pumpkin soup, chicken cordon bleu/grouper, and tiramisu/cheesecake. I did not hear one single complaint. The servers simply walked up to each table and called out people's names to give them their appetizers and then they pretty much remembered where each person was sitting to distribute entree/dessert. They cleaned up quickly and allowed us to continue our party with everyone dancing all night long. We had one bar tab per table which were correct, and easily taken care of. The decorations they set up and the layout was beautiful and perfect. HUGE shoutout to Catty, Jonnique and Juliette from Matthews! 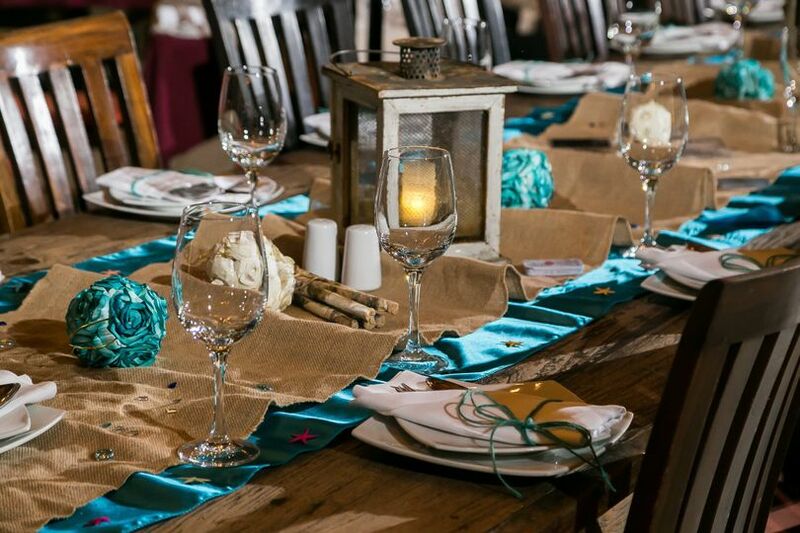 “FABULOUS WEDDING REHEARSAL DINNER VENUE!! 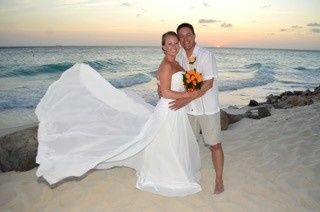 We could not have had a better wedding rehearsal event from start to finish! Catty was such a pleasure to work with in the planning. 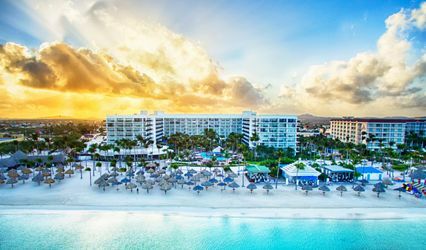 All details were completed prior to our arrival in Aruba. Our event played out smoothly from start to finish. The deck is right on the beach making for a perfect backdrop. The decorations were simple and elegant. The food was outstanding and quite a hit. Jonnique and her staff were excellent. They met our every need with a smile and pleasant attitude. All in all, we were able to enjoy the evening with confidence that all our guests were having a special time. 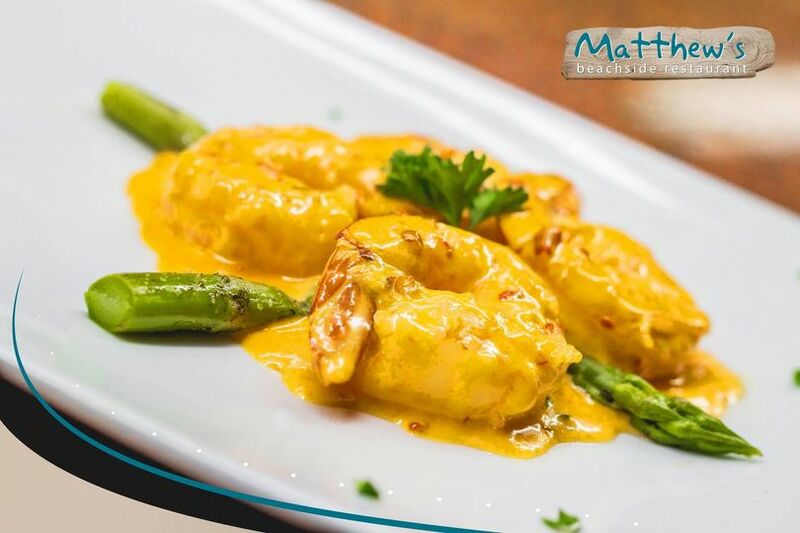 Five gold stars for Matthew's Beachside Restaurant! 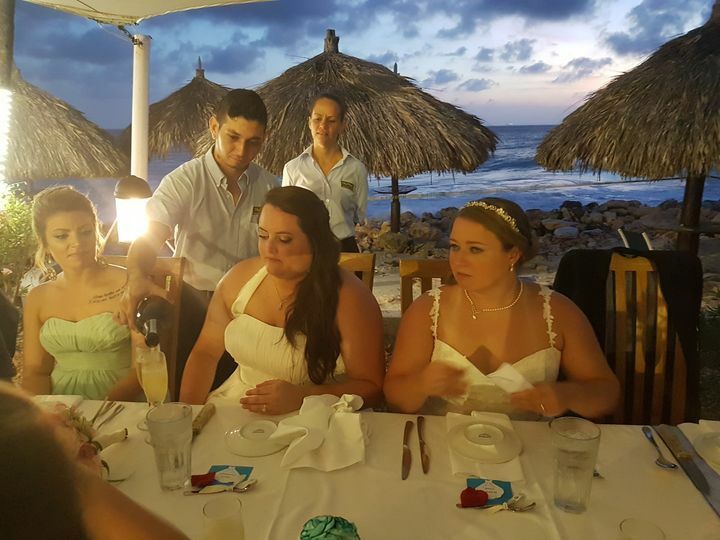 My husband and I were married on the beach in front of Matthew's Beachside Restaurant on April 10, 2013 and, in our minds, it remains a magical day! An intimate dinner with family and friends followed, located on the patio of the restaurant. The food was fantastic and the staff was exceptional, as always, with genuinely friendly and attentive service. The restaurant event coordinators worked closely with our wedding planner to ensure that our wishes were not only met, but exceeded. As it happened, that night was also Matthew's weekly karaoke night, so the music was cranked up at 9pm and the reception continued! It was a blast! 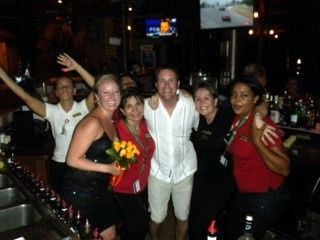 As time share owners, we look forward to returning to Aruba each year in celebration of our anniversary and, amazingly, we continue to be welcomed by the Matthew's staff as if our wedding was yesterday?! They still make us feel so special! Thank you all for the memories which we cherish. 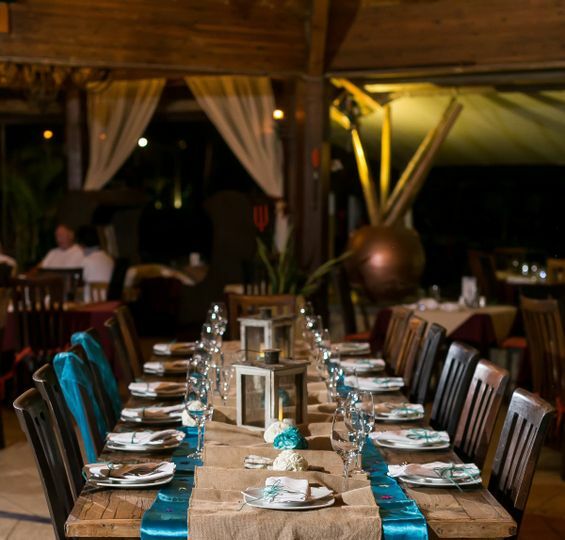 We would absolutely recommend Matthew's Beachside Restaurant as a beautiful and memorable wedding venue!